Natural Living HOW TO CHECK THE PURITY OF HONEY AT HOME? Pure Honey:- There are many variations in honey market for different varieties for tea, different for bread toast and for eating different verteas. Not only the kitchen, but also due to anti-bacterial and antifungal properties present in honey, it is also used to cure flu and ulcer. And-more, research also says that eating honey can change the person's mood too. Egyptians were very fond of honey at one time, and when the archaeologist got 3000 years old honey in a tomb, he was fit to eat. So, because he was real. That is, real and pure honey is never bad. 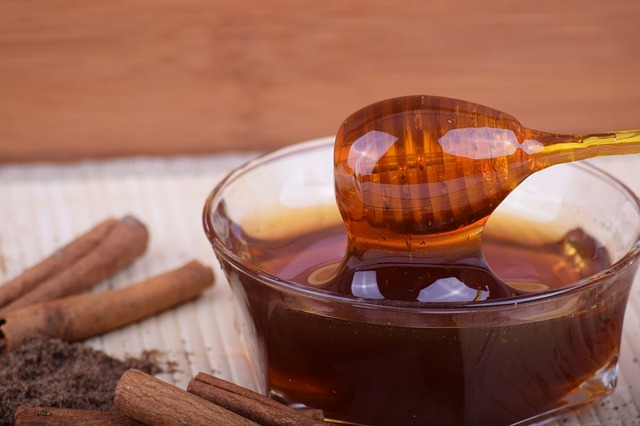 The next time, whenever you go to the market to take honey, do not buy it by looking at the price tag; rather, with the help of these 6 methods, find its purity and make a real health by eating real honey. If it is written on a product that there are Honey Products or Honey Blends and it is quite expensive, then that does not mean that the use of Real Honey has been done. The honey which is real and pure, it is very thick. Even after moving the bottle, it does not move around. The method of buying Pure Honey is that you test how much transporter it is, because there is no real honey transperant. Fake honey is made of water and sugar, while Pure Honey is thick and is rich in natural sugar. Drop one drop of honey in a white bowl. Then sprinkle some drops of water on the honey and rotate the bowl round. Leave it for a while. If honey is pure, then it will take the hexagon's shape. When you keep the honey in the fridge, then if it is fake it will be accumulated due to sugar. At the same time, pure honey is not hard to keep in the fridge. You can take it out of the fridge and take it out of the spoon and eat it comfortably. A drop of honey on your thumb nail. If honey dissolves, then understand that it is fake. If honey is pure, then your thumb will stick to the nail. Put some water in the glass. Mix 1 large spoon of honey in it and note that honey mixes or settles down. If honey is fake, then it will dissolve in water quickly. Pure honey will sit down. Pure honey catches fire quickly, because there is no water in it. Since the fake honey contains water, it does not catch fire quickly.